À le movies: 007 | SimplyBeing. Saturday, I decided to treat myself to the movies. I also really wanted to experience a Belgian movie theater. Since I’ve never seen a James Bond movie I thought why not see 007: SKYFALL. It’s apparently the 23rd installment of James Bond on screen. The movie starts British actor Daniel Craig and was directed by Sam Mendes. The movie also featured an amazing song by Adele, Skyfall, written strictly for the movie. It created a great opening for the movie! Definitely a good set up for the ambience the movie was trying to create (which doesn’t really show until the final scenes.) Overall, the movie had good action scenes and some really good quotable lines from various characters. However, I didn’t find the plot interesting and I felt like nothing really stuck out until the end. I didn’t really get where the movie was trying to go because there was just too much going on. In my opinion, the movie had a lot of potential to have a really good storyline but wanted to say too much so it ended up just making a mess. It had too many stories going on at once. I felt like some points didn’t even finish developing by the end of the movie. (This is as good of a review I can give without ruining the movie.) Either way, I would still go see the movie because I was entertained by the action scenes, characters, beautiful settings, and all the good lines from the characters. 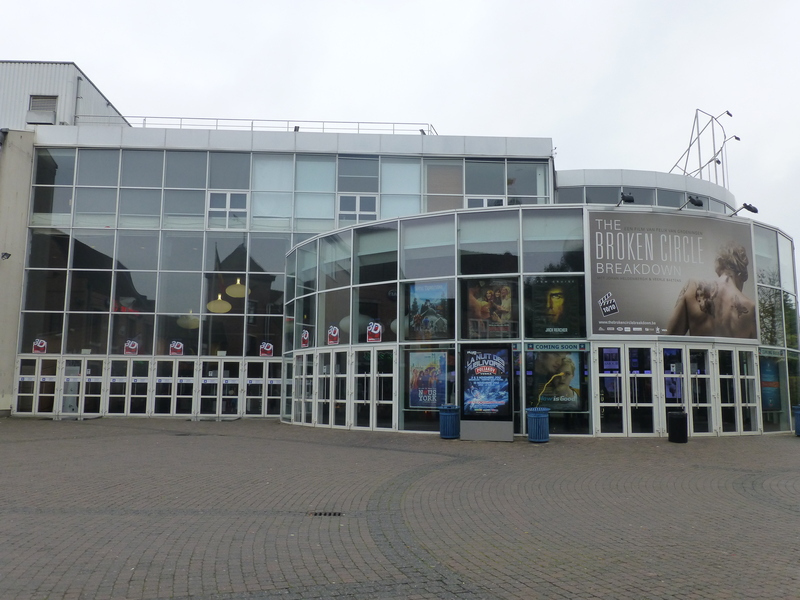 I went to Kinepolis movie theater and of course getting there was an adventure. It was ugly out rainy, windy, and cold. I had to take the tram a direction I’ve never taken before. As I rode the tram I passed through 2 to 3 stops where the walls were filled with the most awkward graffiti art I’ve ever seen. I was actually pretty disturbed by it. When I get off at my stop, which was the last stop on the tram, I instantly became amused by this building made of circles! 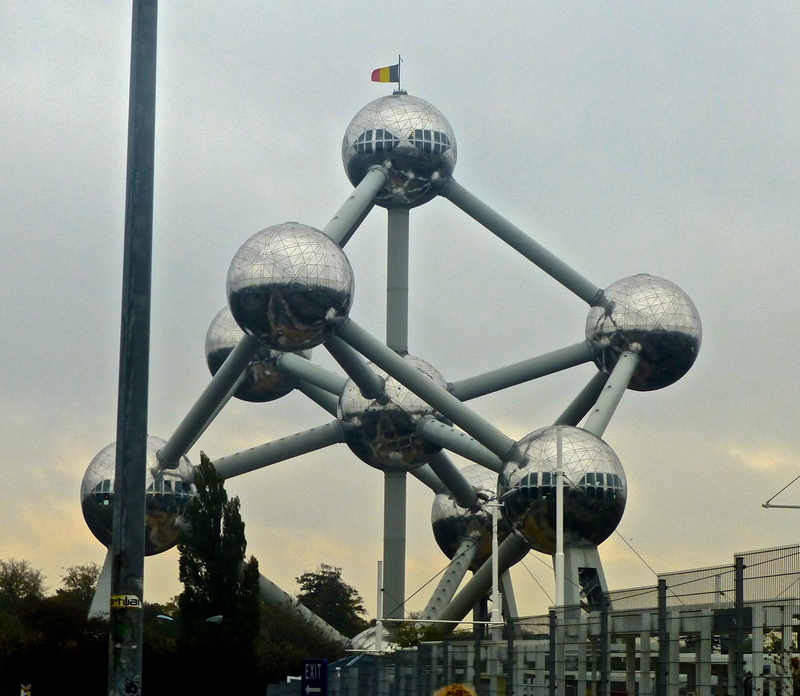 Turns out to be the the Brussels Atomium build for the world fair in Brussels in 1958. It has 8 levels spread over 5 spheres! It’s apparently a very big tourist attraction! I am definitely returning to visit it! 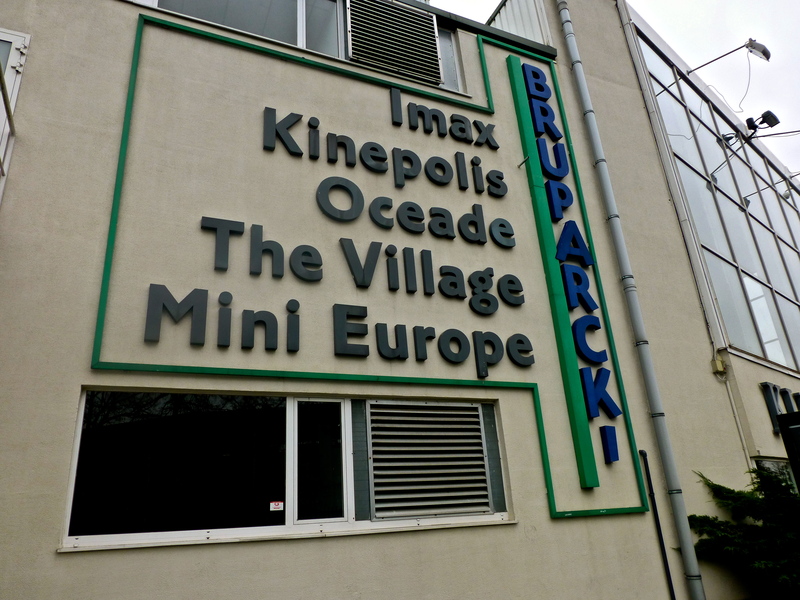 Right next to it it’s a small amusement park called Mini Europe. 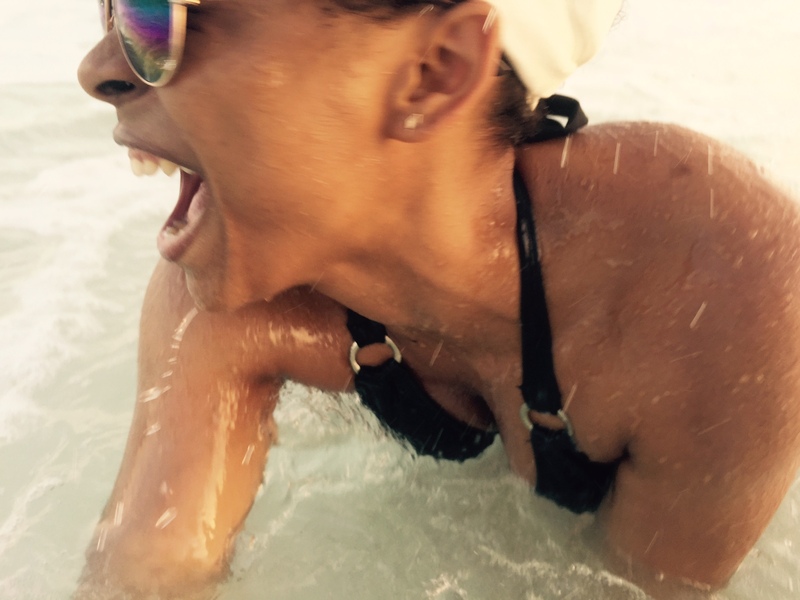 I fell in love! It was the cutest thing! I’m definitely returning to that too. I shall attend BOTH attractions! So I ended up walking around the back of the theater before I found the front and the entrance. >_< Once I finally found the front I was in shock! It looked so fancy! 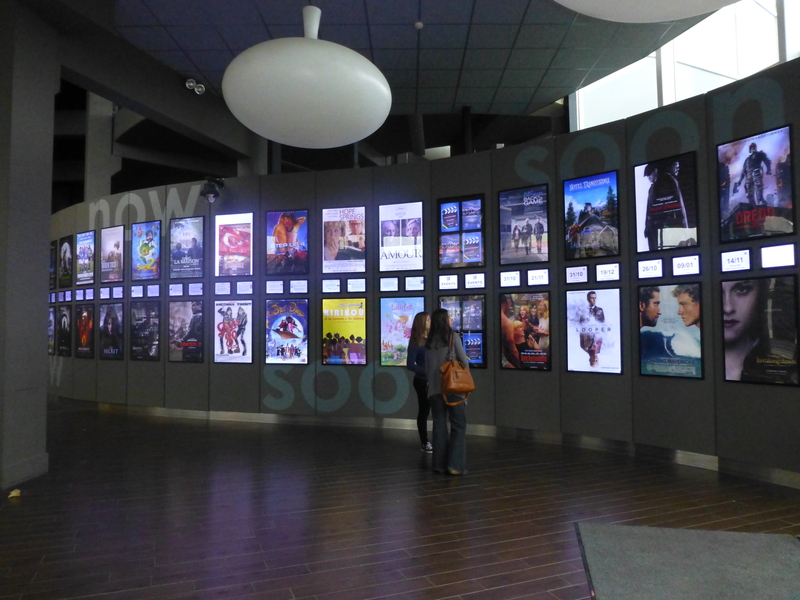 Inside the theater has all the posters of movies that are currently in theaters and some posters of movies that are about to be released. I found it funny that “Ted” JUST came out Oct.10th. The theater also has a lot of self-buy ticket machines! I’ve never seen so many in a movie theater! It wouldn’t be me if I didn’t arrive ridiculously early! I had 3 hours to kill and they had no waiting seats ._. Every employee was practically on lunch break. They weren’t even selling the popcorn yet, and I was craving some popcorn bad! I ended up sneaking into the bathroom so I wouldn’t pay the 35cents (since everyone was on lunch break,) listening to my iPod, and watching previews to this movie “Hobbit” and “Twilight: Breaking Dawn Pt.2” on this huge flat screen about 3 times. Eventually I got my popcorn and got myself a twix bar to sweeten my life up. When I walked into the room I literally said “wow.” It was HUGE! That had to be the biggest screen in a theater I’ve ever seen. The movie was in English and there were French and Dutch subtitles. I thought that was pretty interesting. What caught me off guard was the 10min break to use the bathroom in the middle of the movie. I thought to myself, “they must really want those 35cents!” Whelp! they definitely got mine because I needed to pee! I still can’t believe they charge for bathrooms in Europe! I went back to my movie and left the theater pretty content. It was a good adventure for such a crappy day. 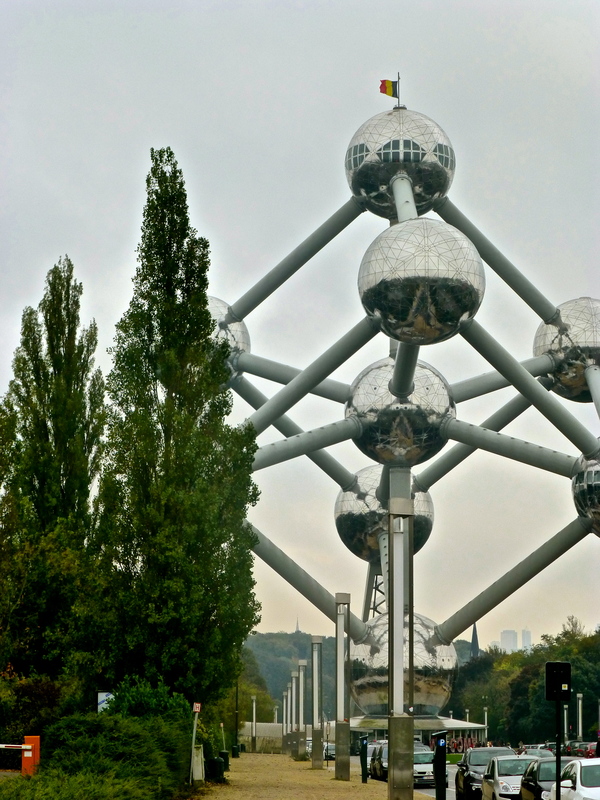 This entry was posted in Semester in Belgium and tagged 007, abroad, adventure, atomium, Belgium, brussels, entertainment, Europe, experiences, journey, Kinepolis theater, mini europe, movies, sightseeing, skyfall, study abroad, tram, walking on October 30, 2012 by SimplyTiff.